It’s Christmas in July and Home of Guiding Hands (HGH) is in search of sponsors for the organization’s annual holiday home parties this December. 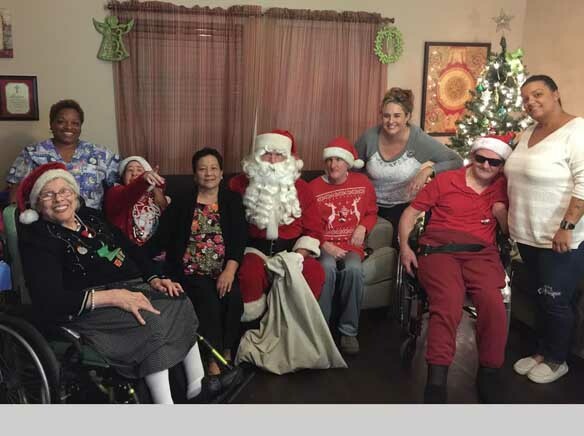 The parties have become a favorite holiday tradition for the Home of Guiding Hands’ clients and the public’s help is needed to support 31 parties at group residences all around San Diego and Imperial Counties. Many of the clients the organization serves have limited funds and do not have family members nearby. It’s Christmas in July and Home of Guiding Hands (HGH) is in search of sponsors for the organization’s annual holiday home parties this December. 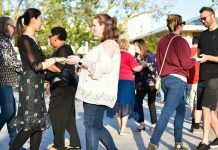 The parties have become a favorite holiday tradition for the Home of Guiding Hands’ clients and the public’s help is needed to support 31 parties at group residences all around San Diego and Imperial Counties. Many of the clients the organization serves have limited funds and do not have family members nearby. The annual holiday parties provide a sense of belonging for both the clients and the community who help make the season a special time for all. As a Holiday Home Sponsor, individuals have the option of being involved with the hands-on party planning preparations and celebrating with the clients. Sponsors can also choose to participate behind-the-scenes by providing a private donation. Any and all sponsors are encouraged and welcome to attend the holiday celebrations, enjoy food, refreshments, games and other holiday-inspired activities alongside the residents. * Donate gifts, including wheelchairs, movie passes, passes to area attractions, gift certificates to restaurants or shops, DVD players, crockpots, linens, iPads, gaming systems, books, board games, beach chairs, etc. In 2017, Home of Guiding Hands will celebrate 50 years of giving back to a community that is often overlooked, underfunded and underserved during the holiday season. The organization’s yearly holiday celebrations aim to provide dozens of San Diegans in need with the joyous and memorable experiences each resident deserves, providing them with traditions we all look forward to. To become a Holiday Home Sponsor, please visit hghholidays.org or call Jessica Brandon at 619-938-2854 for more information. Any donation and sponsorship to the annual Holiday Party Fund is greatly appreciated. 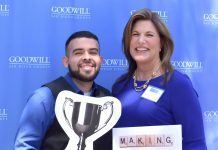 Home of Guiding Hands (HGH) has been committed to providing marked community support, critical housing, and life skills training for individuals with intellectual and developmental disabilities in San Diego County since 1961. 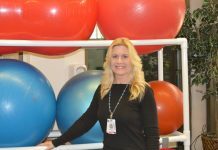 Currently, HGH offers a multitude of services ranging from Early Start, Respite, Independent Living, Transportation, Counseling & Family Support, and Residential Services, to over 1,500 infants, adolescents and adults. HGH is dedicated to maximizing the independence, productivity, and quality of life for individuals with intellectual and developmental disabilities. The mission of Home of Guiding Hands is to improve the lives of those we serve. For more information about HGH please visit www.guidinghands.org.